We need your help in opposing Physician Assisted Suicide (PAS) at the upcoming session of the Legislature. The Senate Health Committee heard a PAS bill at the 2011 session and voted not to send the bill any further. That should have ended consideration of the issue for 2012 also, but indications are that advocates of PAS may engage in unusual maneuvering to have PAS heard again in the 2012 session. There is little advance notice of a PAS hearing, so we urge you to prepare your testimony now. The Public Access Room at the Capitol, available at http://hawaii.gov/lrb/par is set up and staffed to be your resource for preparing and submitting testimony. There will be a panel presentation on the current status of PAS in Hawaii at the Capitol auditorium on December 8th from 7:00 to 9:00 PM. There is no charge. 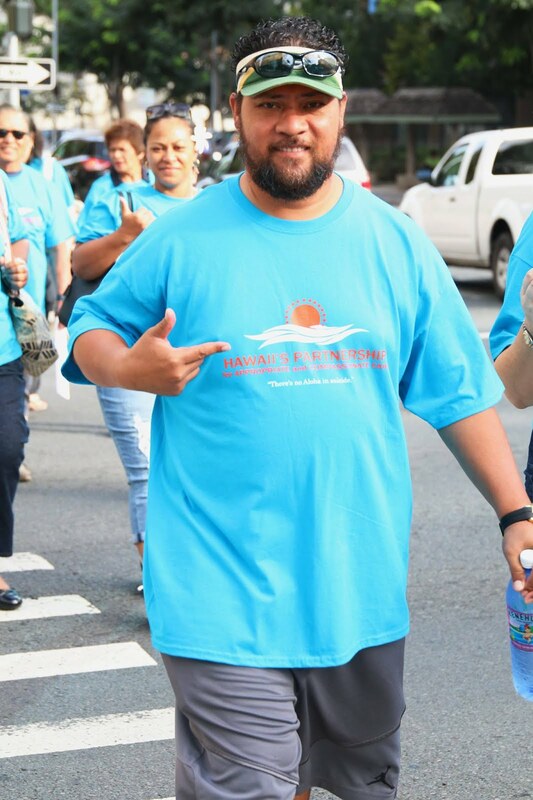 The event is hosted by Senator Mike Gabbard, moderated by Allen Cardines of Hawaii Family Forum, and sponsored by HPACC (Hawaii Partnership for Appropriate and Compassionate Care). Details are available at http://www.hpacc.org/. If you are seeking additional information, we provide below a summary of recent events involving PAS in Hawaii and points that can be used in preparing testimony. Death with Dignity (DWD), the pro-PAS group, brought over their Mainland attorney to keynote presentations on the issue. 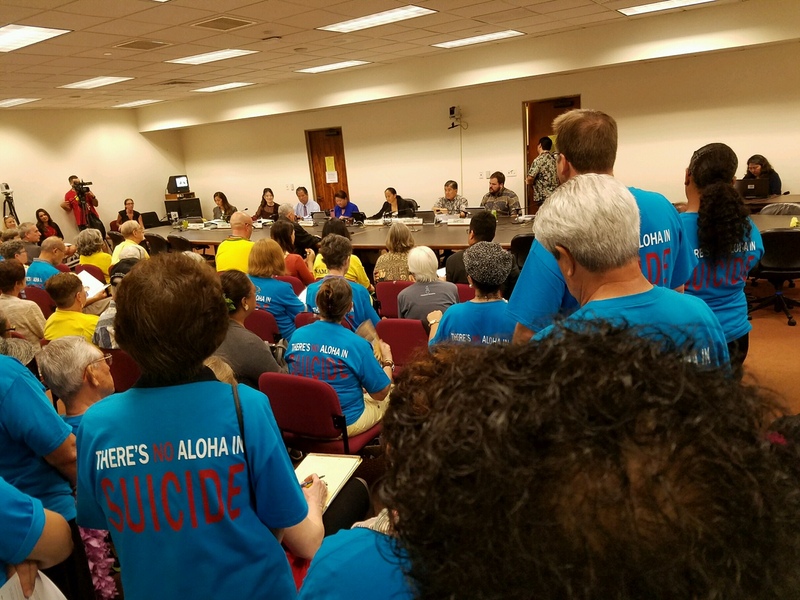 Their attorney announced that euthanasia and assisted suicide are already legal in Hawaii, this based on her interpretation of a 1909 law about medical practice definitions concerning Hansen’s disease treatment. DWD then issued nationwide press releases stating PAS was legal in Hawaii. This conforms to a strategy DWD has tried in other states, where they have attempted to jump over any actual consideration of the issue and just pronounce PAS legal through their attorney’s declaration. The Star-Advertiser carried a front page story about a retired physician who wants to assist someone to die so he can prove that PAS is legal in Hawaii. He stated that he doesn’t care if he is prosecuted for doing this and has asked for people to come forward who would like the lethal dosage of medication. DWD is handling email for him. A local resident who would have wanted his wife to die using Physician Assisted Suicide has written a Death-with-Dignity book promoting legalization. In the last decade there have been at least four bills to legalize PAS introduced at the Hawaii Legislature and on which hearings have been held. None have passed. NO legislature in the United States has passed an Assisted Suicide bill into law and many have specifically outlawed PAS. Oregon and Washington legalized PAS through heavily funded voter initiatives. In Montana DWD is attempting to have PAS declared legal through the court system, but there has been no resolution to date. DWD has made Hawaii one of their priority states, apparently because they consider our legislature one of their easier targets. 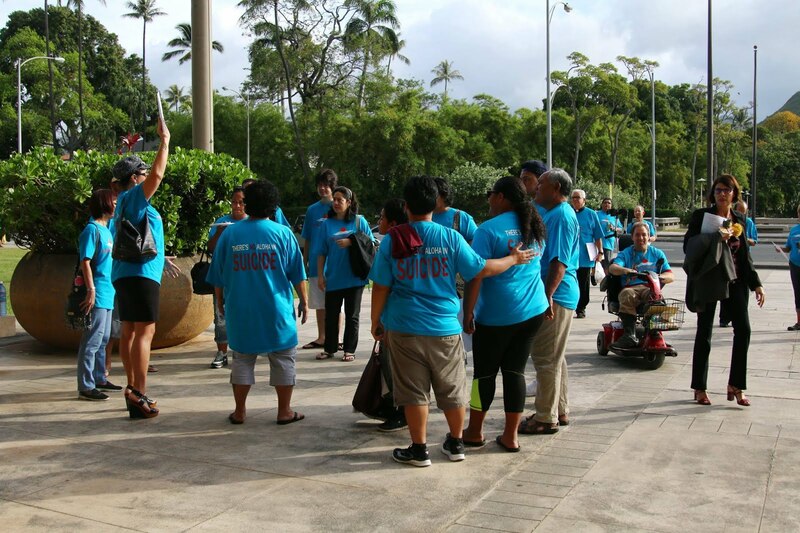 There are websites that have more details of the legislative history of PAS in Hawaii: PatientsRightsCouncil.org and ChoiceIllusion.org are two of them. In spite of an almost complete lack of administrative transparency in Oregon, where PAS is legal, reports of a variety of problems have leaked out. There have been some highly publicized instances where patients were denied treatment coverage by the Oregon Health Plan and were offered suicide drugs instead. There will be unintended consequences and new victims if we legalize PAS. This was recognized by the New York Governor’s Task Force on PAS, still one of the most thorough public policy reviews of the issue. Their report, When Death is Sought: Assisted Suicide from a Medical Perspective, is available on line. Major studies show that changing public policy in this area could not adequately address the potential abuse problems. Polls used by proponents that claim that 73% -75% favor PAS are unreliable and methodologically suspect. In fact, people have become increasingly concerned about the potential for abuse since the push for legalization began. Doctor-assisted suicide emerges as the most controversial cultural issue in Gallup’s 2011 Values and Beliefs poll, with Americans divided 48% (morally wrong) vs. 45% (morally acceptable). The number of people favoring doctor-assisted suicide has fallen from a high of 53% in 2004 to a low of 45% in 2011. Individuals who are 55 and over are the least likely to favor doctor-assisted suicide. The close division of opinion over PAS makes it is even more important for those who understand and appreciate the dangers of legalization to become involved. Read the Attorney General's Opinion Here!